For budget minded Guest’s – Single Room with a Queen bed. Regular hotel Rooms with 2 double beds. Rooms with 2 double beds and French door access to deck. with Fireplace in living room, and a bedroom with 2 double beds on the loft, with French doors leading to the deck, and compliments of all hotel amenities. Enjoy the view from the deck or through the French doors. Romance the Night away - Our Honeymoon Suites with a Heart Shaped in room Jacuzzi, Loft Bedroom, Fireplace, along with all amenities. Enjoy the view from the deck or through the French doors. Executive Suite is equipped with a Jacuzzi, Loft Bedroom, Fireplace, along with all modern amenities. 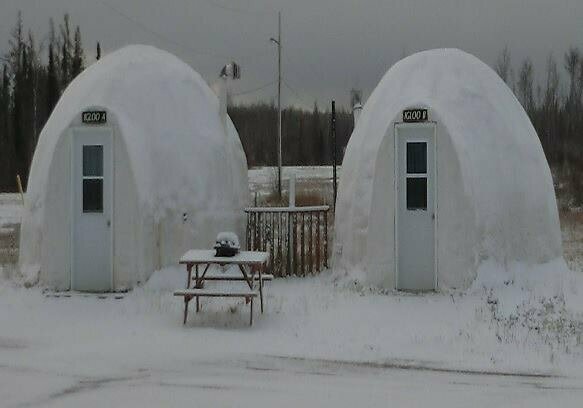 Experience northern living, for your comfort there is a kitchenette, 1 and 2 double beds, sofa beds and full compliments of amenities.